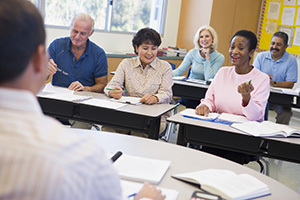 The Council for Adult and Experiential Learning (CAEL), Online Learning Consortium (OLC), Presidents' Forum and University Professional and Continuing Education Association (UPCEA) have joined forces to create the National Adult Learner Coalition, an organization devoted to advancing the adult learner agenda and expanding post-secondary education and credentialing opportunities. Supported by the Lumina Foundation, the coalition will serve as a "cohesive voice advocating for adult students and the institutions that serve them," according to a press release. Increasing awareness and support for innovations that benefit underserved adults, such as competency-based education, prior learning assessment and alternative credentialing. "Once a small minority, adult and non-traditional learners now constitute up to 85 percent of today's students," said Robert Hansen, CEO of UPCEA, in a statement. "Our coalition is dedicated to help realign federal policy with this new higher education landscape, advocating for the expansion of access, innovation, and creative solutions." "The undeniable shift in education demographics to a student community largely comprised of adult learners demands policies and programs that shift with them," said Kathleen S. Ives, CEO and executive director of the OLC. "Our coalition has the potential to advocate on behalf of the new majority student in ways more powerful than any of our organizations could advocate individually." More information is available on the UPCEA site as well as in a National Adult Learner Coalition white paper, "Strengthening America's Economy By Expanding Educational Opportunities for Working Adults," which outlines the issues, challenges and opportunities faced by today's adult learners.